The professionals at Jericho Design Group recently gave us an hour of their time. 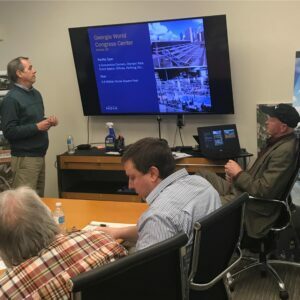 Mark Girton and Michael Winship jumped at the chance for some face-time and educated the team on all the services provided by our Facilities Group. Jericho’s moto is really fantastic, by the way: Believing in BIG things!